Are you interested in signing up for an online dating site or mobile dating app? There are thousand to pick from, but here are some of our favorites for you to enjoy. PlentyOfFish has over 66 million members world wide and creates over 1,000,000 relationships every year. POF started 10 years ago, it was free back then and it’s still free now! They’ve been featured in the Wall Street Journal, The New York Times, Newsweek etc. Join the millions of other people that have already joined PlentyOfFish.com and find your other half. Chemistry is focused on singles who are looking for a serious relationship. Launched by Match.com in February 2006, Chemistry.com was created to bring together independent-thinking, confident, diverse singles that are serious about finding a meaningful relationship. Based on the research of renowned biological anthropologist Dr. Helen Fisher, Chemistry.com uses a proprietary test to predict which two people are most likely to experience a life-changing jolt of chemistry. Sign up for 14 days of FREE service. 14 Days Free at Chemistry.com! Would you like to meet like-minded single Christians! ChristianCafe.com has the largest database of Christian Singles online. They offer a FREE 10 day trial for Christians to find love, romance, friends & fellowship in their Virtual Cafe. ChristianMingle is the online community created specifically for Christian singles looking to find friends, romance, or marriage. Their site has an inspirational daily verse that you can sign up for. ChristianMingle.com claims to have over 1000 new members signing up each day. Find Christian Singles in Your Area. Join Now! DatingAdvice.com is the authority on all things dating. The site features daily articles from renowned experts, Q&A sessions, research studies, a lively forum and more. Julie is the site’s online dating expert. They site sees 635,00+ unique visitors a month and 1 million+ page views a month, making it the leading resource site for dating. Make sure to read their review of the 10 Best Dating Sites for 2016.
eHarmony has a patented Compatibility Matching System to help select the right match for you from millions of profiles. They have an extensive questionnaire that members need to fill out. Their guided communications process to shows you the status of your contact with your potential mate. If you want to speed up the process, select their Fast Track option, which allows you to communicate directly with a match once both parties agree. eHarmony is responsible for over 600,000 marriages. JDate is the number one site for Jewish singles. The site has members from around the world and they feature instant messaging, their popular ‘flirt’ emails to let someone know you are interested, a chat feature, and a color personality test. According to JDate, every 23 minutes, someone tells them that they met their soul mate on their site. In addition to adding your profile online for free, JDate organizes many singles parties in major cities that are a fun way to meet singles without the pressure. If you are interested in traveling, they have their famous vacations to Mexico, the Caribbean, and even schedule cruises. JDate.com sophisticated, fun, cool Jewish singles. Matchmaker.com is one of the original online dating sites and was founded in 1985. They have over 8 million members and their focus is on serious and marriage-minded relationships. Matchmaker.com – When You’re Serious About Falling in Love. OkCupid is a free online dating site. They have fun quizzes and a flurry of questions for you to answer to help the match percentages. It’s a fun and interactive site and they call themselves the best dating site on earth. Who can argue with that? Their “A List” premium service allows you to browse anonymously and change your user name once a month. Senior People Meet is the #1 site for singles 50+. Over 1 million new singles join the site every year. You can finally meet age appropriate singles with similar interests. Sign up to start receiving flirts and emails. It’s never too late to fall in love. Join Free to meet Senior Singles near you at SeniorPeopleMeet.com. Are you single and sober? 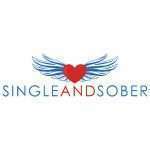 If so, then check out this established sober dating site that was created in 2015 for sober singles in recovery. This website believes that dating in recovery is possible and sober dating is their specialty. Use the Promo Code – PEACE for 15% OFF any membership level. Zoosk is the world’s largest social dating community with more than 50 million users in 50 countries around the world.